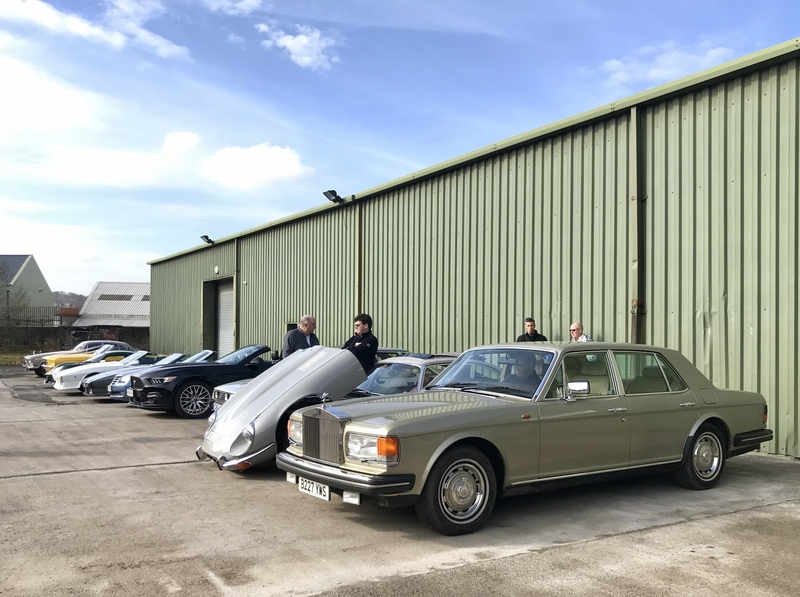 At the 5th Gentlemens Breakfast Club on Sunday 13/05/2018 it was good to have our first meet with blue skies from start to finish. Not long after I had arrived members started arriving as well at 9.00am. We had a very varied collection of 11 cars parked around the display area at the GBC from 1930’s Rileys through to a modern Ford Focus ST. Please remember we don’t have as many cars as a show, we are a club meeting and it’s about quality not quantity. We are still looking to grow membership but once it hits a certain level it will be capped then a new member won’t be added until an old member leaves. I’m not going to write to much this month as we have had a cracking write up from Andrew Briggs who won car of the meet. my Riley 12/4 Special, along with friends Maurice, David and Bob, in Riley 12/4 Falcon, Porsche 911, and Westfield XI respectively. The sunny weather had brought out a wide selection of cars, vintage through to modern, and it was interesting to meet old work colleagues Andy, Geoff and Jason, who I’ve not seen since leaving Cobble, some 19 years ago. The Special was not quite the oldest car in attendance (that being the Riley Falcon at 83 years old), but perhaps the most ‘different’ car? Anyway, it seemed to be of interest to people, and was named as Car of the Meeting; as a result, I was asked to write an article about my car for the GBC blog. Riley had a great competition record in the inter-war period with works cars claiming victories in the TT, and various Grands Prix. Perhaps their greatest achievement was at Le Mans in 1934, where works-entered Rileys followed the winning Alfa Romeo 8C into 2nd, 3rd, 5th, 6th places; privately entered Rileys also finished 12th and 13th. Meanwhile, a number of engineering wizards and racing drivers had found that the Riley chassis, engine and running gear could form the basis of extremely capable racing Specials, from Parry Thomas and Reid Railton’s Brooklands Riley 9, which became a production model, to the racing sixes of Hector Dobbs, Freddie Dixon and Raymond Mays. Raymond Mays had seen great success with his Brescia Bugattis, and his supercharged TT Vauxhall, taking on the world’s best and beating them at his beloved Shelsley Walsh Hill Climb. His big breakthrough however, came from his collaboration with Victor Riley to develop the White Riley. Taking the underslung Riley MPH/Sprite chassis, running gear and six cylinder engine, highly developed and supercharged by Jamieson, the result was an instant success, taking records at Brooklands and going on to win many races. The White Riley was the forerunner of the E.R.A. (English Racing Automobiles) voiturettes, which Mays, Peter Berthon and Humphrey Cook created, with the intention of putting an English car at the forefront of international motor racing. The influence and legacy of E.R.A. and subsequently B.R.M. on British Motor Racing is inestimable. This car was the inspiration for my own Riley Special, having caught the pre-war racing car ‘bug’ while attending a VSCC Sprint meeting at Curborough in 2011. Having parted with my classic MG, to create some garage space, over a couple of years, I acquired a rolling chassis project, and chased-down all the necessary missing parts from all over the country. It is as testament to the standard of Riley’s engineering and quality of manufacture that many of these eighty-year old parts had been spared from the scrap-man and lived under people’s benches for decades, in the knowledge that they could be pressed back into action with a little refurbishment. I then set to the job of four years or so, restoring and rebuilding everything, with all the components being brought up to a competition specification. 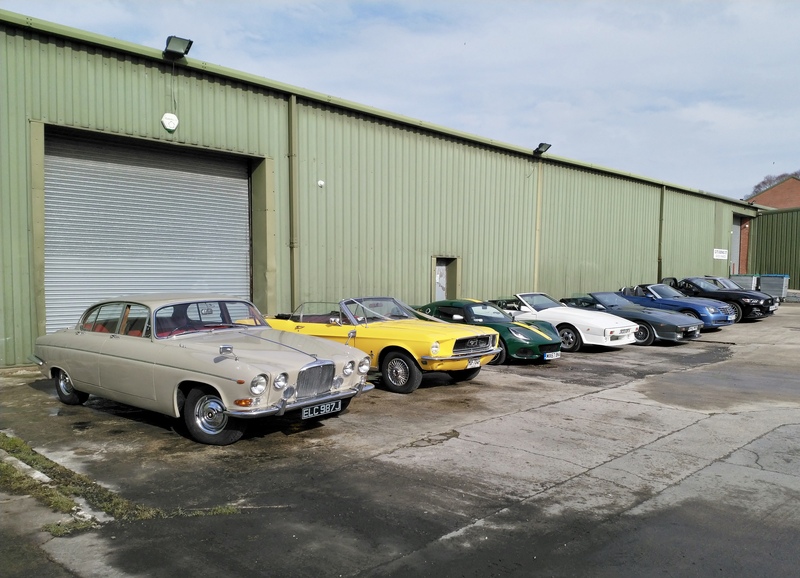 I’ve been fortunate to work with marque experts who have carried out the more specialist jobs, Ross Keeling rebuilding the engine, and the late Ralph Wren manufacturing several unobtainable parts. Nick Jarvis, who had an original works TT Sprite to work from as a reference, made pedals, handbrake parts and the wings. I made the dash and firewall in aluminium, then mocked-up a body with plywood shapers and cardboard sheets. The aluminium body was then made by Clive Smart of Shapecraft (better known for C-Type Jaguar replicas, Shapecraft Lotus etc. but he does enjoy a special commission). The engine is a 1938 Riley 12/4, which is the four cylinder 1496cc unit introduced in 1935 as an evolution of the Riley 9 (1087cc) engine introduced in 1926; very advanced at the time, with twin cams, hemispherical combustion chambers, and eminently tuneable. The same basic pre-war engine design was carried forward into post-war cars after Riley was consumed by Nuffield, giving an amazing production lifespan of over 30 years. The engine ‘as found’ was seized, with valve and bore damage, but was all repairable, and the original block was re-lined, re-metalled and line bored, then ceramic sealed ready for reassembly. New shell-bearing rods were fitted, along with high compression pistons and high-lift cams. All new valve gear and a full-flow oil filter arrangement were fitted, along with new timing gears. The flywheel (which weighed around two tons) was discarded, complete with the clutch mechanism, and replaced with a newly manufactured lightweight flywheel, with a direct-drive coupling to the rebuilt pre-selector gearbox. Every component was refurbished, remade or replaced with period-correct parts. One topic of discussion at the GBC, and a question often asked, is “how does this gearbox work then?” This being the Wilson ‘pre selector’ gearbox, made by Riley under license from Armstrong Siddeley. This is worthy of a few more words, as it is a work of genius. Whilst initially intended to make for an easier, quicker ‘silent’ gear change, it soon found it’s way into the hands of racers who had been quick to realise the benefits of hands-free, almost-instantaneous gear changes. The gearbox comprises four epicyclic gear trains, interconnected and controlled in such a manner that four forward ratios, reverse, and a ‘neutral’ can be achieved by the actuation of brake bands and a cone clutch. We initially tested the car in Autumn of 2017 in stripped/racing form, and then fitted road equipment – lamps, cycle wings, making it much more usable as a regular road car. We did a track day with the VSCC at Blyton Park and the car showed good potential in terms of speed and handling, albeit hindered by a serious lack of brakes, and fourth gear. Both issues were subsequently resolved with only adjustments being required. (That Bugatti will not get past us next time…) I’m steadily building up the miles on the engine and tinkering with things, and still have various cosmetic bits to finish. All being well, the car will start competing in vintage speed events later in the season. I would really like to thank Andrew for setting the bar on writing a great article on his Riley Special. People have travelled from far and wide to get to the meeting this month . It was great to see some new faces,there were some members over from Cheshire and South Manchester. For the first month we had blue skies 😎 and the weather hit 12°c. Andy Cox-who helped me set up, brought the biscuits and did the Breakfast run. Paul Mattison who helped with the clearing up after everyone had gone. Please remember as the club grows I will be asking for assistance with certain jobs. If anyone would like to offer 15 mins at the beginning or end of the event it would be appreciated. If anyone wants to email me to offer help it would be appreciated. Please remember if you have taken some good images at a meet please email them over and I’ll credit you if you need me to. Hold your cursor over the individual images below to see the captions. OMG !! 😱 Ive found some more tools in the WordPress tool kit . Maybe we are going to need an auto photographer at each event so we get some good pictures for the blog ? Any volunteers? I don’t care if you use a phone or camera. This month the Car of the Day Judge’s position went to Steve Driver. Even though he left before the last couple of cars arrived he made his decision on what he saw. A picture from before the car was restored..
His choice was Brent Knowles, TVR 390 Prototype- article below. “Many moons ago (too many to recall) when finishing secondary school I fell in love with my friends brother`s new motor – a silver TVR 280 wedge, the colour, the lines and the sound from the V6 engine to me was awesome. From that day onward I was determined to follow the marque TVR and hopefully one day, own one. Strangely enough a few years ago I befriended a chap who also shared a passion for TVR`s and after seeing each model he had and listening to his stories of speed, near misses with the car biting back and of course the sad bits waiting for the RAC, I knew I had to have one and soon! 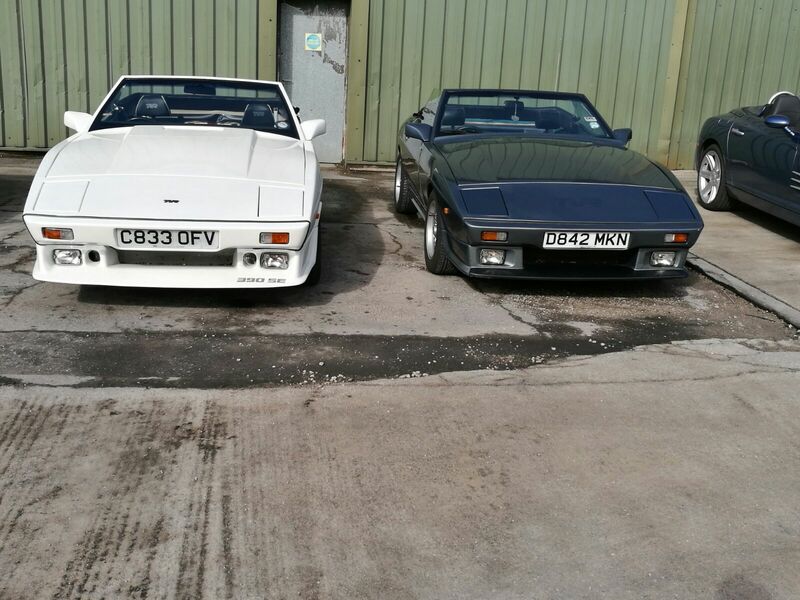 That day came approximately 4 years ago now when I purchased a TVR 390SE – C833 OFV from a local chap who had tinkered and restored most of the car to a high level. The day was cold and wet and the chap said tickle the throttle or she will have you. I did all the way home and was pleased as punch I had made a teenage dream come true. Later on that day as the sun came out and roads dried, I took her for a spin again only to find the my tickle of the throttle and the old owners was different, especially with a slightly damp road. Yes you guessed it, she spun, 180 degrees in fact, on a main road. Thinking about it that was probably the decision maker to change the interior……especially the driver’s seat after that experience! The car went to Ex works TVR for a tune up/service and all was deemed a lovely engine and mechanically sound, putting the 4ltr V8 grumbling well on the road again with a beautiful loud chorus! Next stop bodywork, to sort this I took her to a former colleague and friend of mine Chris Hall of California’s Body Shop in Blackburn where he re painted her from flat white to Pearl white (as close to the original colour as possible), refurbed the wheels and tarted up the engine bay, plenum, new hoses etc. The transformation and the paint job was out of this world! Following the bodywork I took her to Cleveleys to a place called Trim Unique to sort out, Lee an ex TVR trimmer refurbished the interior cockpit with leather replacing the old vinyl and changed seats for me from 390SE to Chimaera. Again the transformation was phenomenal! 2017 saw the 70 year Anniversary of TVR. To celebrate the TVR “Wedge” (lovingly called because of its wedge shape) owners club went to Warwick for the “Big Bad Wedge Fest”. The event saw around 70 wedges turn up and numerous other non-Wedge TVRs. C833 OFV went down well and although she didn’t win best of show gained many compliments on her looks and quality of the restoration. It was at this show that I learnt she was the showroom car for TVR back in her day, for 14 yrs and also I am told a prototype for the 390, although I have to check this (apparently under the upholstery there is a mark of what number the car is, although having just paid for the upholstery to be refurbished, I don’t readily want to rip out just yet) maybe another time. Consequently the car ran down there and back without any issues, only 200 miles but hey ho, it made it. Despite the odd hic up, a creak here and there, a leak, or a drip she runs well and all being will be at each GBC meet. I had inserted the car of the day article first when writing this update, in future I’ll get all the images in a slide show to reduce space. By Sunday’s meeting we had 29 members and as of Monday morning we were at 34 members. The Gentlemen’s Breakfast Club is aimed at Classic, Supercars, American or anything a bit different from the norm. My vision is not to have a club full of hatchback boy racers. If you would like to put a friend, colleague or family member forward to join the club please email me the make/model car they have and their email address and I’ll contact them. Due to growth it was voted on Sunday that Andy Wild our road safety specialist would be our new Parking Marshall . Look out for Andy as you pull in-pictured below doing the brews. The Gentlemen’s Breakfast Club new Parking Marshall. Thank you Andy Wild. If you use any fabulous valeting products, please email a short article about them. Used a good, mechanic, bodyshop, paint shop or trimmer? Again send me a before and after picture a bit of text and a short report and I’ll put it on the blog. I’ll also put a blog page together with recommended suppliers . Membership is by invitation only or a recommendation from another member. As Im off to Goodwood Members Meeting 76 this week end I though it fitting to have a banner image from last years Members Meeting as the banner image.